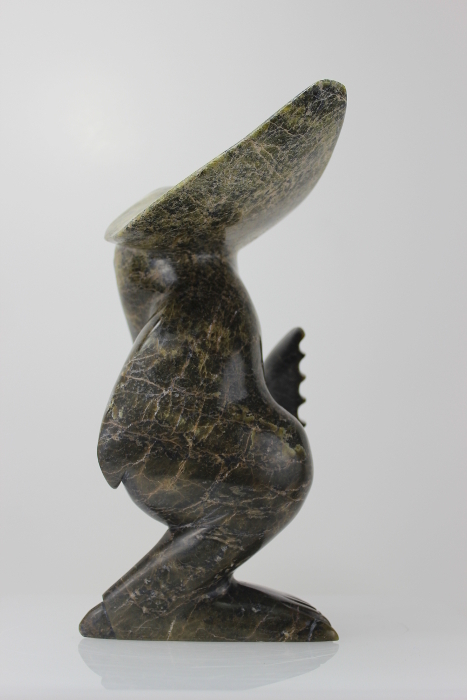 This is a marvellous creation by Ningeosiak Ashoona, an Inuit artist from Cape Dorset. 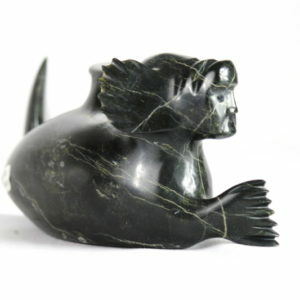 The sea creature she has carved is wonderful, with stylized, imaginative lines. 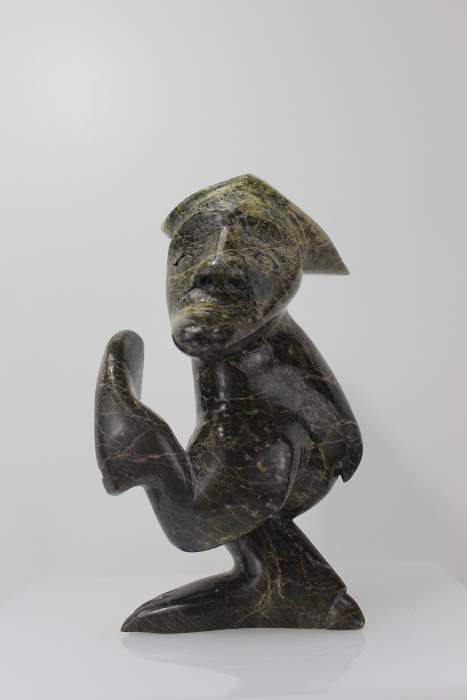 The serpentine used in the piece is striking and grabs the eye. 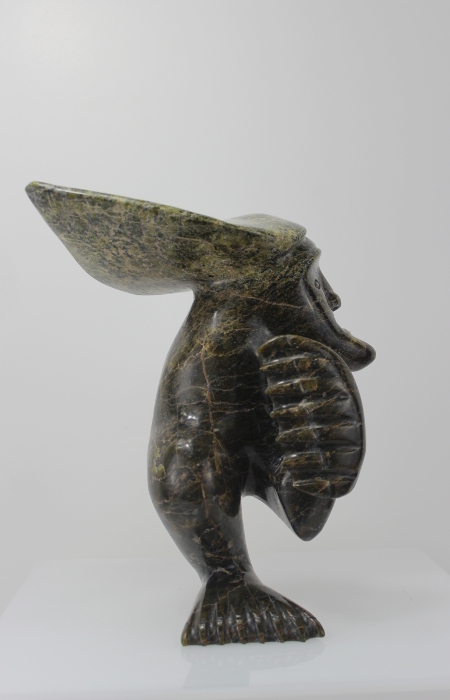 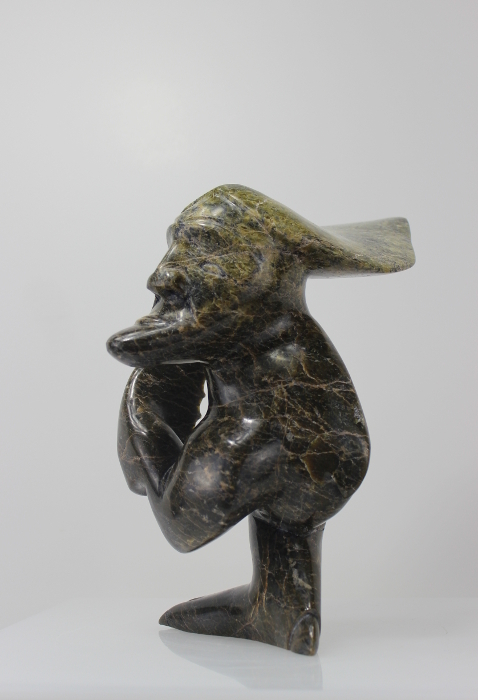 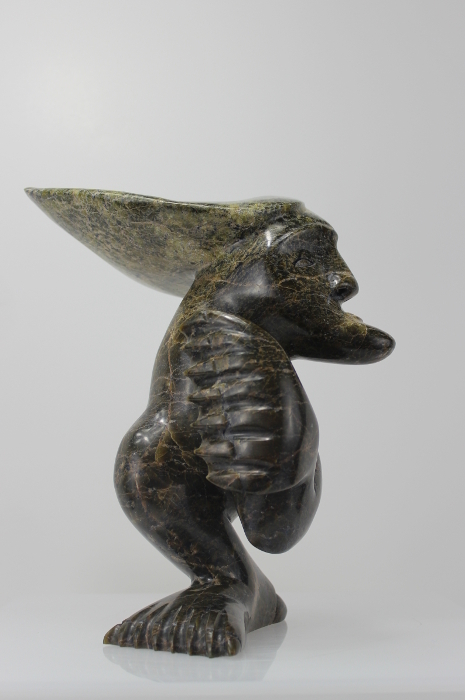 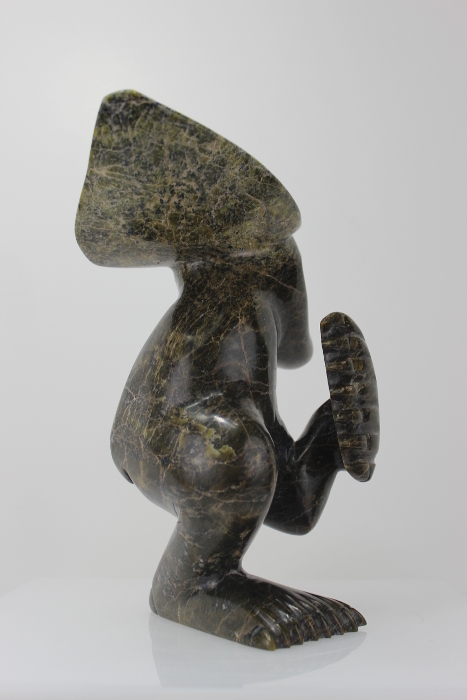 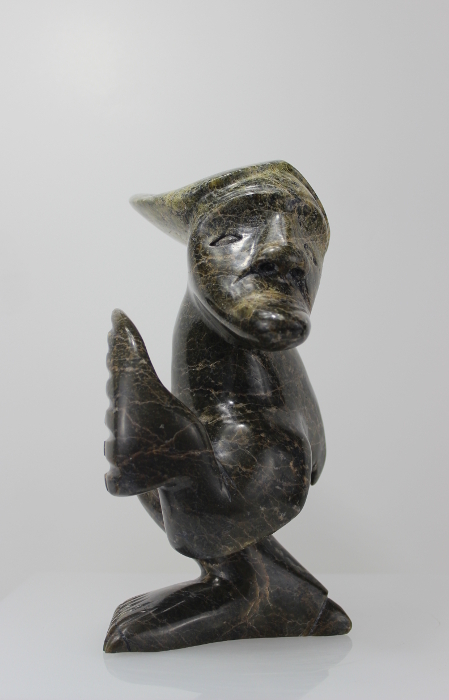 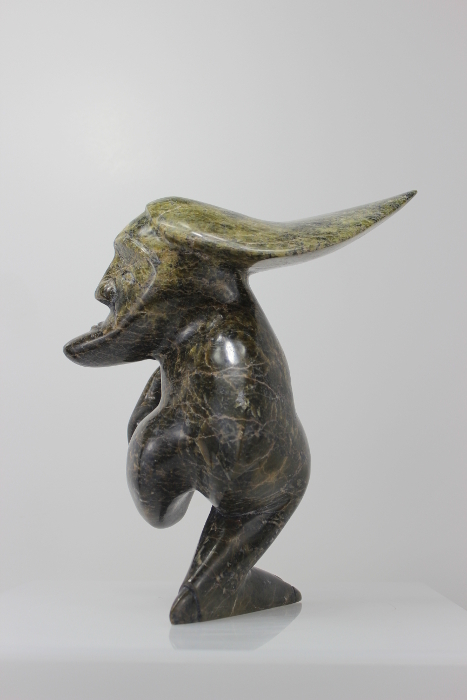 Influenced by her father, Ningeoosiak started to carve around 1998.